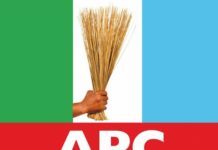 Rivers State chapter of All Progressives Congress (APC) has described as laughable the recent call by Gov. Nyesom Ezebunwo Wike of Rivers State on Nigerians to rise up against the APC led Federal Government during the 2019 general elections. 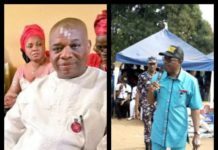 The party in a press statement issued by Chief Eze Chukwuemeka Eze, the Media Consultant to the Rivers State APC Chairman, Dr Davies Ibiamu Ikanya to Media Organisations in Port Harcourt on Thursday stated that it seems that Gov. 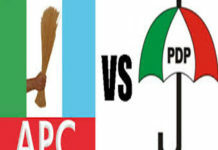 Wike may have forgotten that PDP which based on his (Wike’s) recent activities ensured its formal demise by arrogating to himself the Sole Administrator-ship and Sole determinant force to determine who will fly the presidential flag of the party in the 2019 general elections just announced through his imposed PDP National Chairman, Prince Uche Secondus that Nigerians should forgive the party for its notoriety in impunity and undemocratic principles particularly during the period of the ill-fated administration of Dr Goodluck Jonathan where looting of our common patrimony with impunity was the common trait of that administration. The party queries Governor Wike and Prince Uche Secondus the National Chairman of PDP how will Nigerians forgive a party that not only ruined our economy as a nation but made our Central Bank (CBN) its ATM machine where funds are looted in a manner uncommon in the annals of this country. How do Nigerians forget or forgive a party that killed hundreds of our people in order to get to power in Rivers State? How do Nigerians forgive a party that ensured that our children are out of school because Wike wants to distort the future of the children of Rivers State youths? The party further asked, “How will PDP pleads for forgiveness from those that lost their dear ones so that Wike will become the Governor of Rivers State? 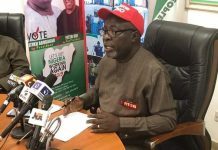 The party counselled the PDP leadership not think that Nigerians are fools and if they are truly serious in their quest for forgiveness, they should compile the names of those that they killed and burnt alive during the 2015 general elections and visit their families in order to take over the responsibility of their children education before we can pray to God to forgive them for their wicked acts against this country. The party reiterated that, “Though we have compiled all the fraudulent financial acts and sinister plots of Gov. Nyesom Wike including sponsorship of inciting video tapes against the administration of President Muhammadu Buhari and inflammatory speeches at any given fora, the party explains that his recent call on Nigerians to rise against the APC led administration is not based on any patriotism act but on how he will protect his looted public funds in the Ministry of Education and also by his unpatriotic call scuttles the efforts of this administration to unravel those behind most of the looted funds by the immediate past administration of PDP at the centre. “At the appropriate time, we will make public how Chief Nyesom Wike milked the Ministry of Education dry”. 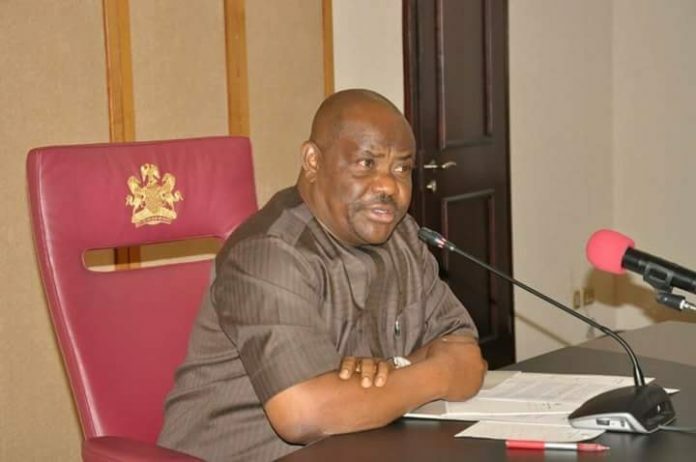 The party further counselled Wike that instead of dreaming of the ouster of the APC led government come 2019 he should be preparing on how to account for the public funds he looted both as the State Minister of Education and as the most corrupt Governor of Rivers State as the APC Government by the grace of God will surely be in power beyond 2023 both at the centre and Brick House from 2019. 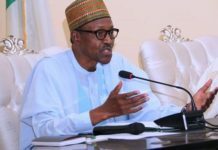 “Not minding all the falsehoods, propaganda against the administration of APC, Nigerians are not deceived as they are very aware of the good intentions of the APC Governments both at the centre and the States it is currently holding sway” Dr Ikanya said. 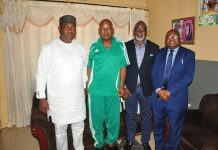 The party finally counselled Wike that neither APC or any agent is ready or preparing to rig any election come 2019 as Wike has already rigged himself out by destroying the future of our youths through his wicked plots against the education sector and ensuring that no employment opportunity exist in Rivers State.